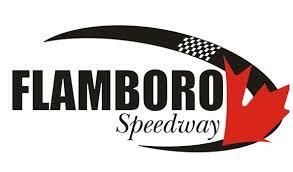 Starting at the back or the front, it didn’t matter for Gord Shepherd on Saturday night at Sunset Speedway as he won both Sauble Falls Tent and Trailer Park Late Model features. After setting the quickest time in qualifying, Shepherd jumped out to the early lead in the first feature ahead of Nick Goetz, as Danny Benedict and Jordan Lawrence battled for third. Benedict got the spot on Lap 5, with Paul Maltese attempting to follow him through but unable to do so. Billy Zardo would run sixth ahead of Ron Quesnelle, Mike Wilkinson, Al Inglis, Kendra Adams, Connor James, Ernie Fumerton, Nic Montanari, and Lorne Quackenbush. Ultimately, Quackenbush’s feature came to an early conclusion at Lap 21 when he was given the blackflag for not maintaining minimum speed. As the feature reached the mid-way point, the shuffling was happening through the pack. Zardo would make his move to jump up to fifth ahead of Maltese, Quesnelle and Wilkinson at Lap 23, as Adams and Inglis battled for ninth. Adams got the spot three laps later ahead of Inglis, with James challenging Inglis for 10th at Lap 28. Further up the field, Quesnelle looked to move forward, challenging Maltese for sixth with seven laps to go, as James cleared Inglis. Quesnelle would grab the spot with five laps to go. At the front of the field, Gord Shepherd cruised to victory. The battle behind him got interesting as the top-four drivers found themselves knee-deep in lap traffic. It worked to Danny Benedict’s advantage as he was able to make the late charge to finish second ahead of Nick Goetz, Jordan Lawrence, and Billy Zardo. Ron Quesnelle finished sixth, followed by Mike Wilkinson, Kendra Adams, Connor James, and Al Inglis. Ernie Fumerton, Nic Montanari and Quackenbush rounded out the running order. The invert for the second feature saw Jo Lawrence start pole ahead of Ernie Fumerton, Paul Maltese, Connor James, Al Inglis, Billy Zardo, Kendra Adams, Ron Quesnelle, Nick Goetz, Gord Shepherd, Nic Montanari, and Lorne Quackenbush. Lawrence grabbed the early lead ahead of Fumerton, with Maltese and Zardo side-by-side for third ahead of Quesnelle. Zardo got the spot on Lap 5, with Quesnelle getting alongside Maltese for fourth as James and Inglis battled for sixth. Zardo continued his climb forward, getting alongside Fumerton for second at Lap 7, passing him a lap later. Fumerton now ran third ahead of Maltese and Quesnelle as they battled for fourth ahead of Shepherd and Benedict. Quesnelle would then get alongside Fumerton for third at Lap 10. Unfortunately, that didn’t result in a good ending, with contact being made, resulting in Quesnelle making contact with the frontstretch wall and ending his night early. With 25 laps to go, Lawrence led Zardo, Maltese, Shepherd, Benedict, Inglis, Goetz, Adams, James, Montanari, Fumerton, Wilkinson, and Quackenbush. Lawrence got a good restart to keep the lead as Shepherd and Zardo battled for second, with Maltese and Benedict side-by-side for fourth. Shepherd got the runner-up spot on Lap 14, with Benedict getting fourth a lap later. Goetz moved up into fifth at Lap 15 ahead of Maltese, Inglis, Adams and James. The caution then flew a lap later as Maltese stopped in turn two with a flat tire. Lawrence got another good restart, with Shepherd and Benedict side-by-side for second, as Goetz and Zardo battled for fourth. Shepherd got the runner-up spot on Lap 19 ahead of Benedict, with Goetz moving into fourth a lap later ahead of Zardo, Inglis, Adams, James, and Fumerton. Shepherd continued his climb forward, getting alongside Lawrence for the top spot at Lap 22, as Goetz moved up into third ahead of Benedict, Zardo, Inglis, Adams, James, Fumerton, Wilkinson, and Maltese. The battle for the lead would last four laps, with Shepherd grabbing the top spot with nine laps to go ahead of Lawrence, Goetz, Benedict, Zardo, and Inglis. Goetz continued his climb forward, moving into second on Lap 28, bringing Benedict through with him. Gord Shepherd led the rest of the way en route to the win ahead of Nick Goetz, Danny Benedict, Jordan Lawrence, and Billy Zardo. Al Inglis finished sixth, followed by Kendra Adams, Connor James, Ernie Fumerton, and Mike Wilkinson. Paul Maltese, Nic Montanari and Lorne Quackenbush rounded out the field.